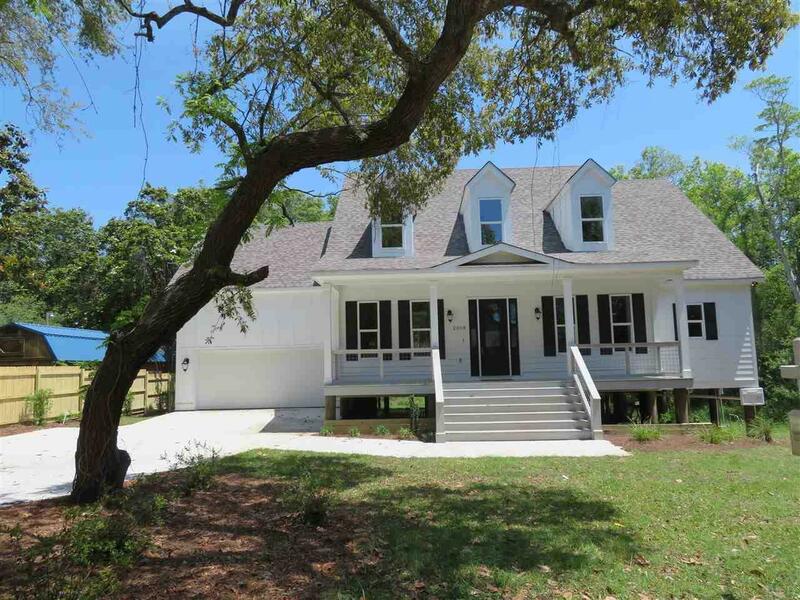 This craftsman style unique home, completed in 2019 is just steps from the Sound and enjoys direct sound views. This spacious, thoughtfully designed 4/3 in the desirable, waterfront Plantation Oaks subdivision is an inviting wooded retreat on a cul-de-sac lot with views of the Sound and deeded access. The kitchen is sure to please with stone countertops, custom cabinets, new stainless appliances, eat in kitchen area and a breakfast bar. In addition, there is a beautiful dining room with coffered ceiling and chandelier. The open concept kitchen to living room is light and bright with crown molding and recessed lighting. Walk out to the expansive deck from the beautiful master suite with walk in closet and master bath with stone double vanity, soaker tub and large walk in shower. This home features a grand entry, vaulted grand room, 10 ft ceilings on the first level, a wood burning fireplace, hardwood floors in the main living area and stairs, extra large back deck, covered front porch, impact windows, a tankless water heater, hardie board siding, and a 2 car garage. This location just a moment&apos;s drive to the beach in a central location! Buyer to verify all information, including square footage.